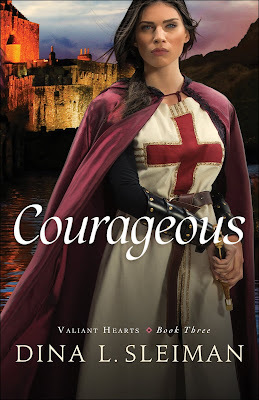 Courageous, book 3 in Dina Sleiman's Valiant Hearts series, released this week, so looks like it's time to party again!!! And since Courageous follows a group of brave men, women, and children on a grand crusade, I think a progressive party is in order. 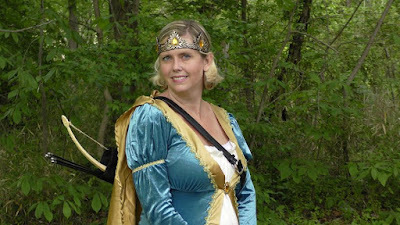 Looks like Dina's all ready to go in her medieval get up. So where should we start? 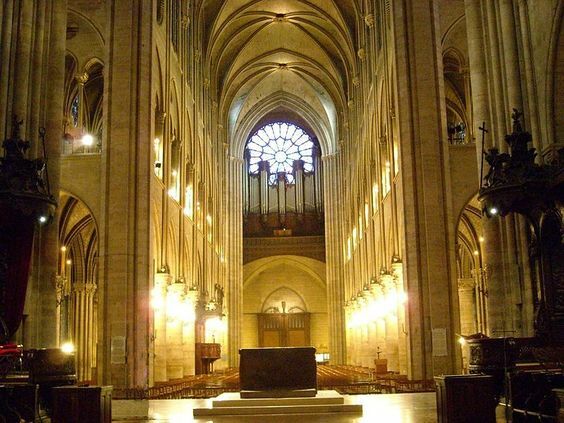 How about the same place our crusaders do, with a commissioning at a grand medieval cathedral. I don't suppose we'll have much in the way of refreshments. The communion bread and wine will have to do, but I'm sure it will be a special and memorable experience nonetheless. Where to next? 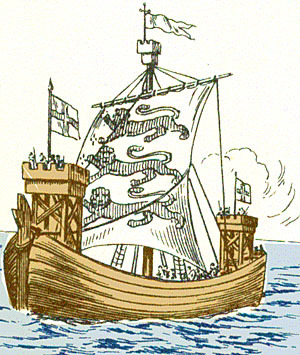 Why a medieval ship of course, for our long trek across the sea. I'm afraid we mostly have hard bread, dried beef, and cheese to offer, but there's plenty of raucous singing and dancing on shipboard at night. And just wait, the fare is about to get much better!!! 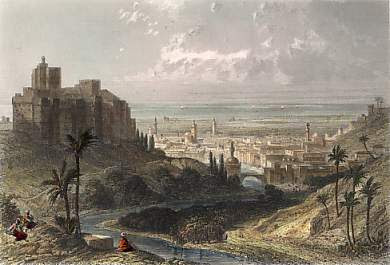 Finally, we've arrived: our beautiful crusader castle in the crusader state of Tripoli along the Mediterranean Sea. 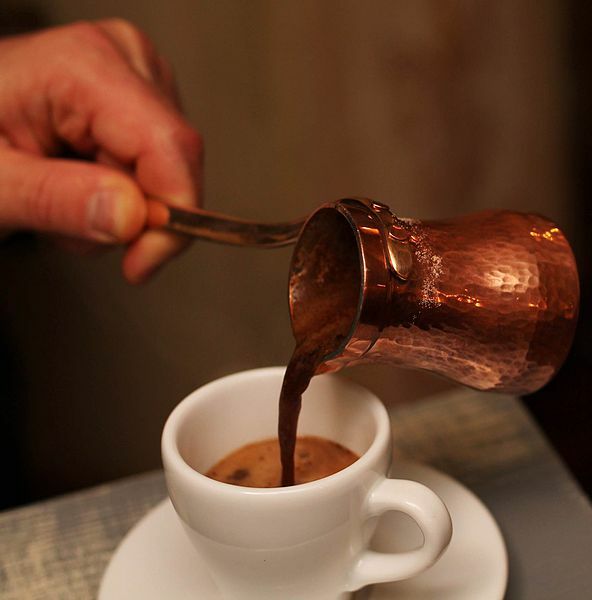 Pull up a colorful, silken cushion and take a seat around our low tables as we listen to exotic Middle Eastern music. Our waiters might be a little gruff looking in their chain mail and crusader tunics, but don't worry, the food here is divine. 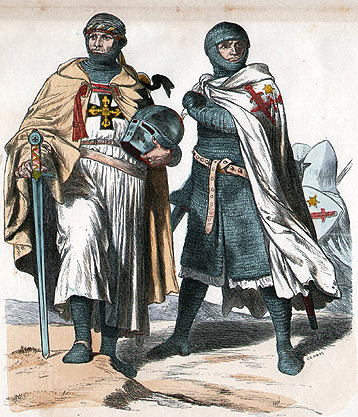 These crusader lords are almost as Middle Eastern as they are European after nearly a century here. 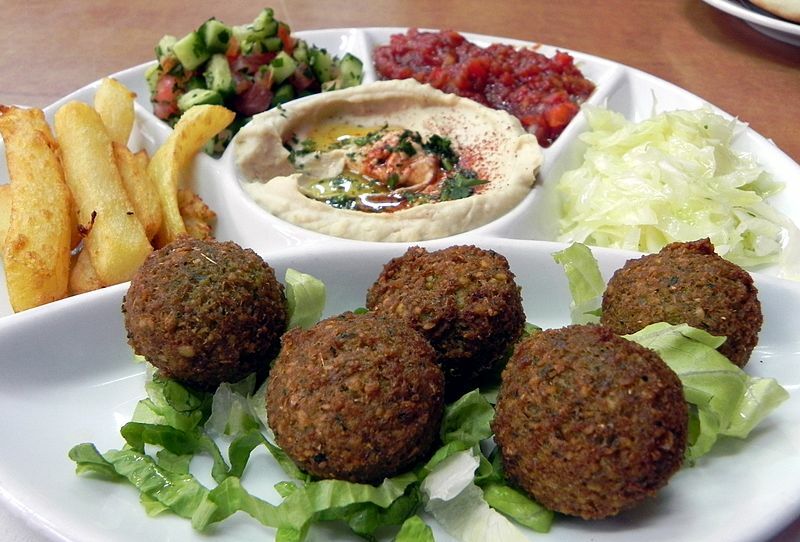 Enjoy tabouli salad, hummus, pita bread, falafel, spiced rice, shish kebabs, and more! We also have a variety of fresh local fruits, nuts, and olives. And for desert, Middle Eastern sweets made with real sugar along with Turkish coffee. That's just a taste of the exciting medieval adventure that awaits you in Courageous. You'll definitely want to check this one out! Find all of the Valiant Hearts books on amazon. In addition to the newly released Courageous, Dauntless is currently free for ebooks and Chivalrous is under $4. All three are available in print as well. Inquiring minds must know: is the costume really yours, or is that just a super good photoshop? Because if it's yours, you really need to wear that to one of our B&N meetings sometime. I've always thought the crusader states were in modern-day Syria. Is your book set in Libya or is there another Tripoli? The costume is really mine! Believe it or not, I got it from amazon for like $30. Of course I added the bow and arrow. I wore it to the Blue Ridge costume night last year, but I'm not so sure about Barnes and Noble... The crusader states at some point stretched through much of that Mediterranean area, including Israel, Lebanon and Cyprus as well as Syria. There are two Tripolis. One in Africa and one in Lebanon. Congratulations, Dina! I can't wait for everyone to read this book and see for themselves how great it is! Thanks, Suzie. I hope they love it as much as you did! There are accounts of people having parties, picnics, and even small fairs outside churches and Cathedrals, so that could probably be arranged. Great idea :) Although when you read the book, you'll see that it was actually a cold snowy day when they were commissioned, so that they'd be ready to leave with the first breath of spring. Yeah, that sort of scuppers it. Northern British winters= seriously chilly! Now reading! Thoroughly enjoying as I have now traced one family like all the way back to the Crusades. Sorry I'm late the party, but I did want to say how happy I am for you to have this series available with so much success! It was a great idea from day one and you've done a lovely job with the concept. Congratulations, Dina and Courageous' debut!